Looking to catch up on the critical issues affecting the Internet’s infrastructure without the exhaustive research? i2Coalition Co-Founder and Executive Director Christian Dawson sits down with experts to discuss issuing facing the Internet and its future. Topics include: intermediary liability, Internet governance, abuse reporting, standards setting, privacy, cyber security, industry social issues, and more. 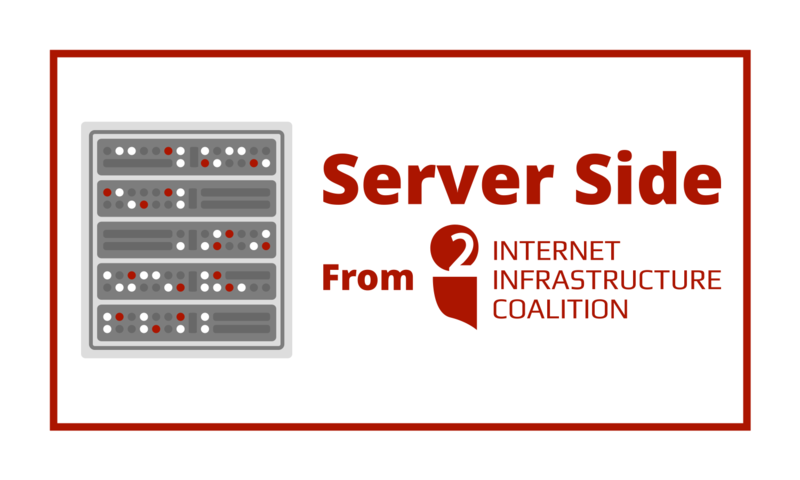 Christian Dawson: Thank you for joining us once again for server side where i2Coalition and its members talk about the things that are happening in the Internet’s infrastructure. We are the singular voice of the Internet infrastructure, and I am your host for periodic updates. Joining us today is the organization’s co-founder David Snead. David is here to talk about a couple of cool events that we’ve got coming up in partnership with our partners over at eco: The Association of the Internet Industry. Thanks for being here with us today, David. David Snead: Sure. Happy to be here. Christian Dawson: David, the events we are discussing today are coming up pretty soon, in Europe. David Snead: The events are on this coming Thursday and the following Tuesday, so they’re on the 7th of February in Brussels and on the 12th of February in Berlin. Christian Dawson: Well let’s step back and talk a little bit about specifically what these events are and what we are trying to accomplish with them. David Snead: Sure. So these two events are what the first is at the European Parliament and the second is at Echo’s office and they’re designed to talk about privacy shield and the importance of transatlantic data flows and in particular to discuss how our associations are approaching transatlantic data flows and issues that impact the ability of the respective governments to facilitate these flows and to consider how privacy and issues related to privacy and different cultural views of privacy might impact legislators legislators reviews of Privacy Shield and also what might be coming in the US and the EU in terms of legislation on privacy very important stuff. Christian Dawson: And it seems to make a lot of sense that we are going to have those conversations in Brussels and Berlin. Obviously it makes sense to also have those conversations in Washington D.C. The goal is to have a third round table in this series? David Snead: That’s correct, with details to follow. The goal is to try to bring the folks who were part of the dialogue in in Europe to the US to help facilitate the understanding of privacy. 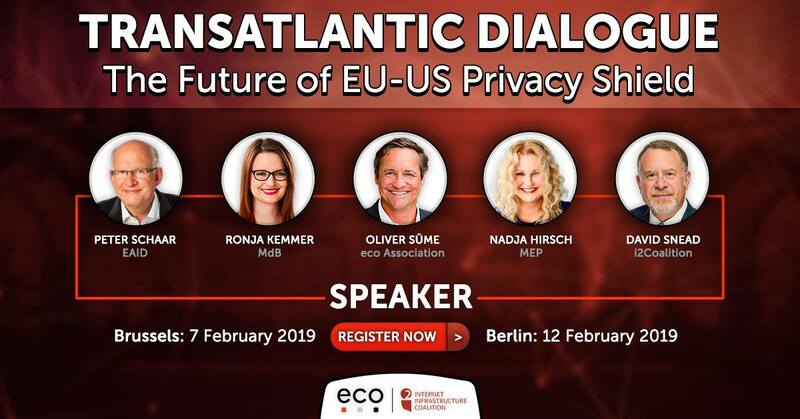 From my perspective, since I addressed this in the US quite a bit, it provides a bit more understanding about views from European businesses about privacy and also helps underline the shared sense of importance that transatlantic data flows have for companies on both sides of the Atlantic. Christian Dawson: Extremely important message! I’m hoping that we are able to soon schedule the one in Washington D.C. I know that it’s been delayed due to the recent partial U.S. government shutdown, which made it very difficult to do scheduling during that period. So, hopefully in addition to the Transatlantic Dialogues event in Brussels on the 7th of February and the roundtable in Berlin on the 12th of February we’ll be able to augment that very soon with one in Washington D.C. I know you’re not going to be the only person speaking there. We’ve also got representatives from eco meeting with us. And in addition to those do you know the other people that we’ll be speaking with? David Snead: Sure. We have members of the European Parliament who are going to speak, and also some of folks who are going to talk about – in Berlin in particular – the business aspects of the of data flows. For both European roundtables, I will be joined as co-host by Oliver Süme, who is Chairman of the Board of eco. Together we will host Nadja Hirsch, a member of the European Parliament. And then also in Brussels we’re going to have Willem Debeuckelaere, the Deputy Chair of the European Data Protection Board. And then joining us in in Berlin, in addition to me and Oliver, we’re going to have Ronja Kemmer, who is a member of Parliament from Germany. And Pete Schaar, who’s the Chairman of the Board of the European Academy for Freedom of Information and Data Protection. So it’s a pretty robust set of roundtables with some folks from Parliament and the EU who can give some particularly good insight into what might be percolating legislatively from the European Union side. Christian Dawson: That’s wonderful and I’m excited that it’s in a workshop format, because the people that show up to listen to you speak will also get the opportunity to engage with you guys there which aids in our goals of being thought leaders around these very important subjects, as two of the main associations that deal with the internet’s infrastructure on both sides of the Atlantic. Let’s for a moment take a take a look at our partnership with with eco association. i2Coalition works with them very closely on a number of different projects. Our organizations are both global, but most of their engagements happen on the European side of the Atlantic, and most of ours happen on the North American side of the Atlantic. David Snead: Yes. Of all the associations that we’ve worked with over the course of the last 7 years, our work with eco has been one of the longest standing. We have a very good relationship with them, which helps foster more understanding on business goals in Europe and the U.S. I think for a number of advocacy associations, our type of collaboration is unique – that two groups are working together to advance a common interest, and are doing so not in competitive advocacy with each other but in an open dialogue. I find that kind of special relationship unique and very very important. Christian Dawson: I will go ahead and mention again that our event in Brussels is on the 7th of February and that our event in Berlin is on the 12th of February. We will be scheduling the one in Washington D.C. very soon. I will make sure that in the notes for this for this interview people are given information so that they can quickly sign up and schedule themselves to be there and participate in the exciting events. Before I let you go, David ,I wanted to turn our attention to a few other events or at least one other event beyond these roundtables. We are coming up on another CloudFest, which our association tends to get heavily involved in each year. One of the things that we are doing this year is we are hosting a diversity meetup of our Diversity and Inclusion Initiative. David, your organization cPanel has decided to co-sponsor of that event. Do you want to take a moment to tell us a little bit about that and why that’s important to you? David Snead: Sure. So in addition to the work I do with i2Coalition, I’m also general counsel for cPanel, and for cPanel, diversity and inclusion is one of the most important leadership focuses that we have. At cPanel, inclusion is something that we we strive to achieve every day. One of the ways that we’re doing that is by putting some money where our mouth is, and helping to co-sponsor this meetup at CloudFest. And it’s an indication both of how important we think this issue is for our community, and also how we believe that gender and inclusion is an issue which we all draw pretty short on in in our community – and we’re looking to try to find ways to remedy that. So I really encourage everybody to participate by coming to the CloudFest i2Coaliton DII meetup. In past DII events, there’s been good discussion about ways that each of our businesses can help facilitate more inclusion in our businesses, and it’s also just a great chance to meet and chat with folks who have similar viewpoints. So we’re really happy to be able to co-sponsor this! Christian Dawson: Thank you David. Once the specific times are released for that I want to make sure that those are posted as well so people can sign up, in addition to the other important events that we’ve talked about already. Thank you so much for your time today! Really appreciate it. And looking forward to all these events!